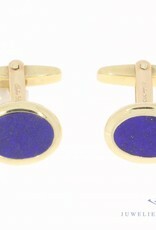 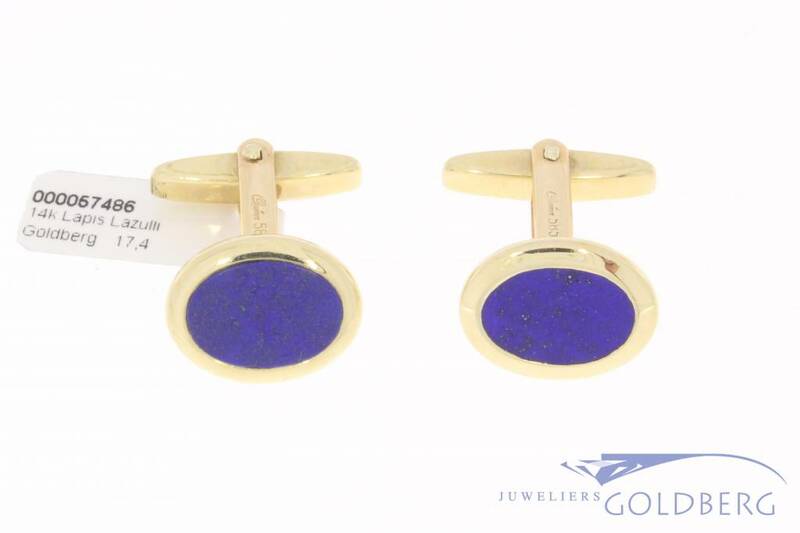 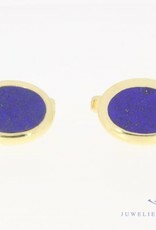 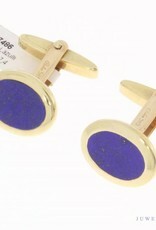 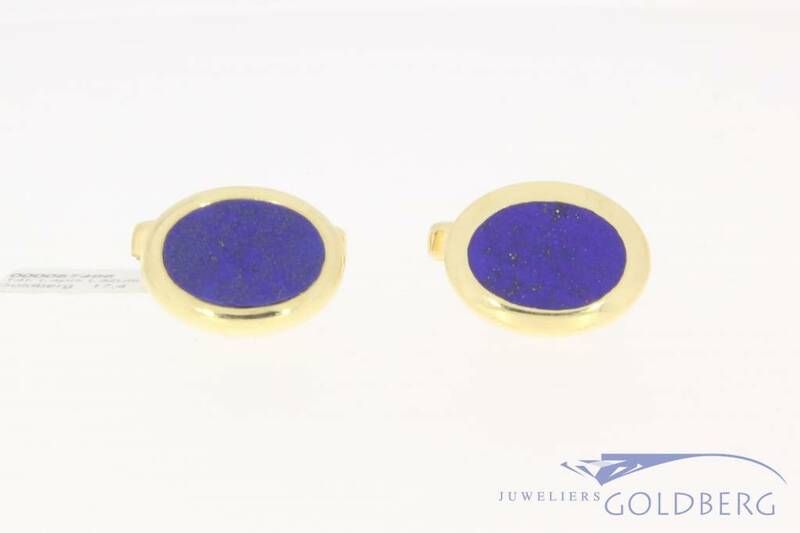 Elegant and special vintage 14 carat gold pair of cufflinks with lapis lazuli. 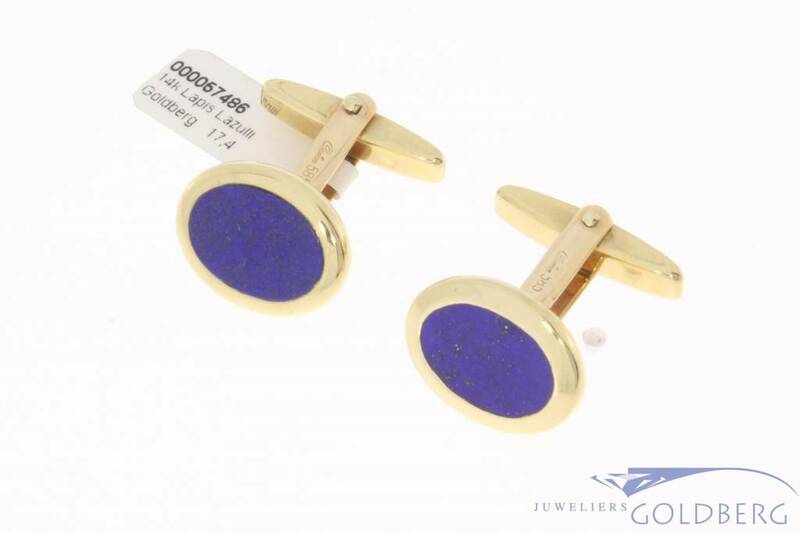 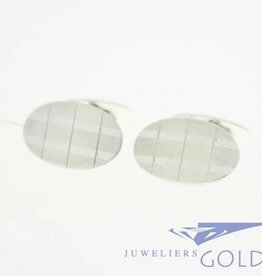 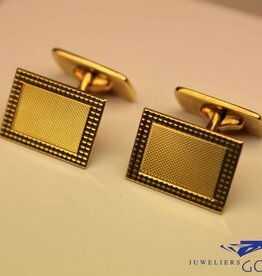 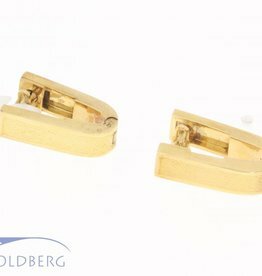 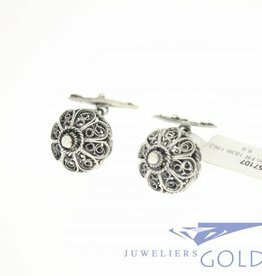 The dimensions of the oval cufflink are approximately 17.86 mm by 13.86 mm. 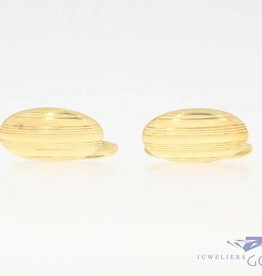 The total weight is 17.4 grams.